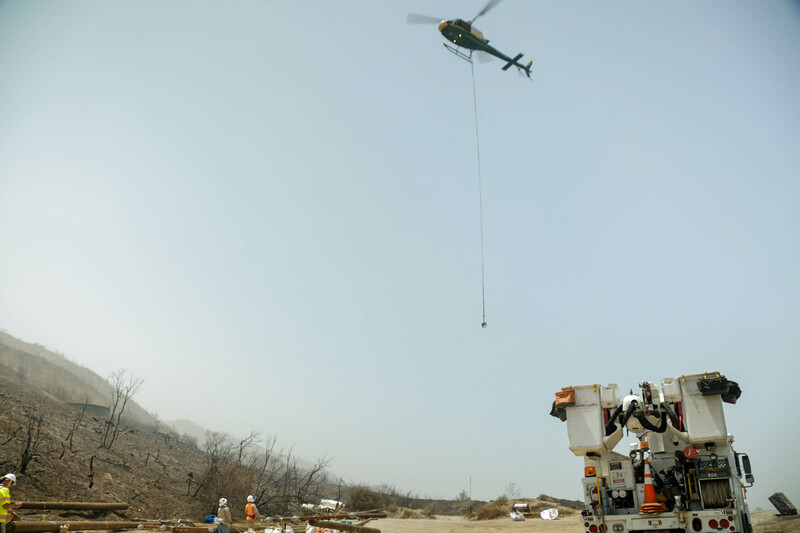 SCE crews, including Air Operations, work to restore power following the Sand Fire devastation. SCE crews from Saddleback and Santa Ana work to restore power in Little Tujunga following the Sand Fire devastation. Santa Clarita’s Sand Fire consumed more than 38,000 acres and SCE Air Ops was called in to help set poles in remote areas. The Sand Fire in Santa Clarita burned for 10 days and consumed more than 38,000 acres by July 30. 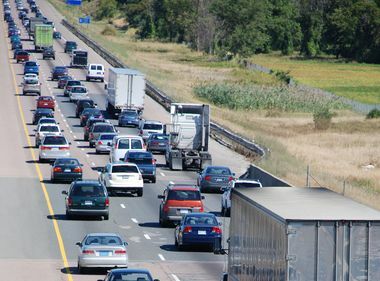 In its wake, approximately 290 power poles were destroyed or seriously damaged. 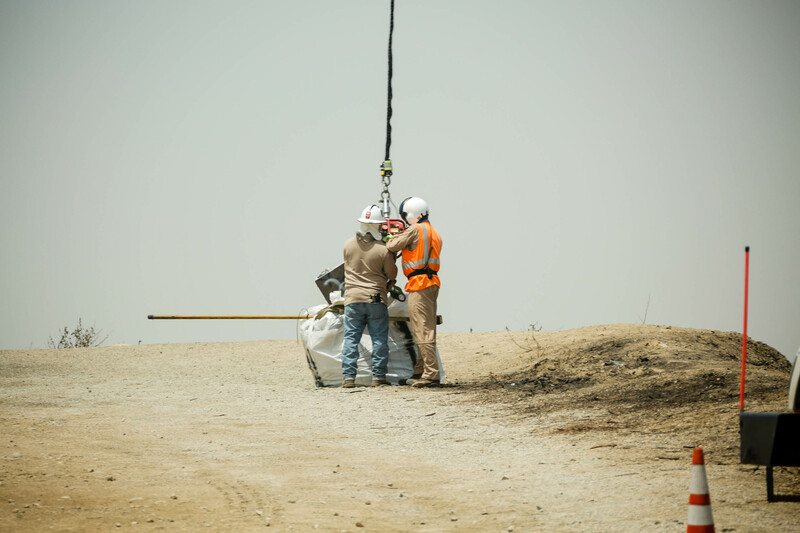 A total of 43 Southern California Edison crews worked to restore power in the devastated areas conducting cleanup, prep and repair work. 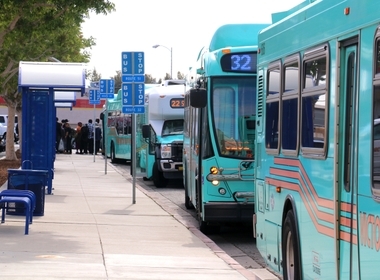 In addition to replacing poles, the crews dug 72 holes and installed a total of 24 wire spans. Helicopter pilots in SCE’s Air Operations also took flight to help set power poles located in remote, hard to reach areas. Their meticulous and often difficult work is captured in these videos and images. 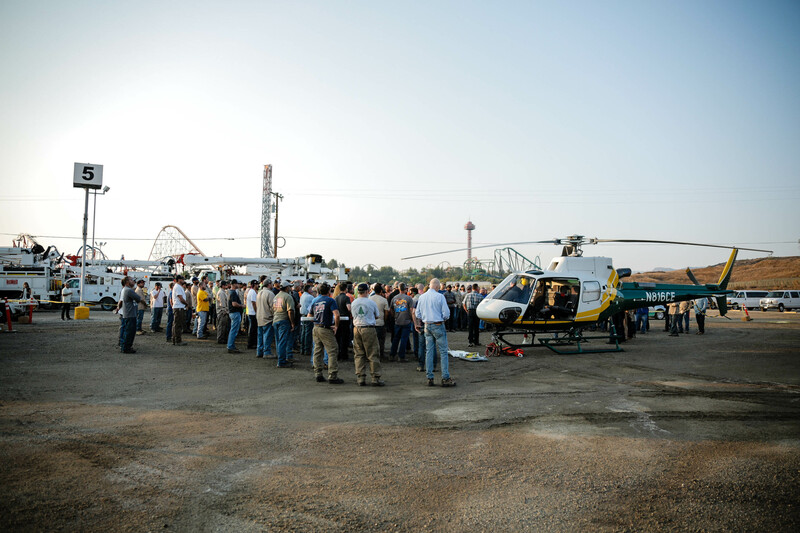 SCE crews attend a safety briefing before starting the day's restoration work. 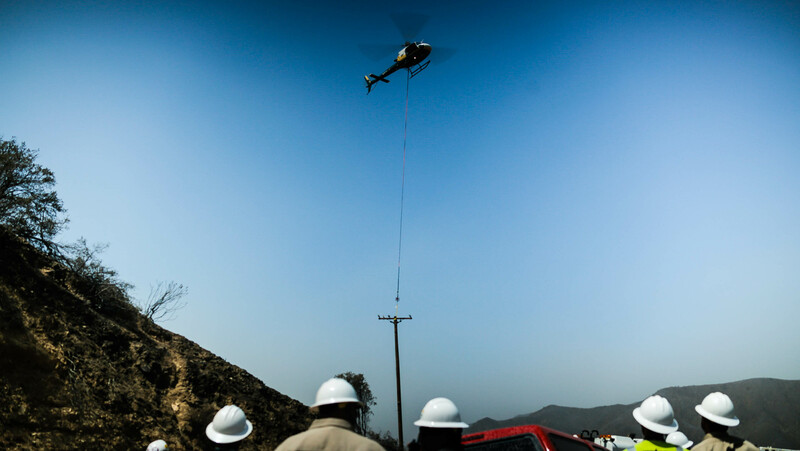 SCE's helicopters help set poles in difficult to reach, remote areas. 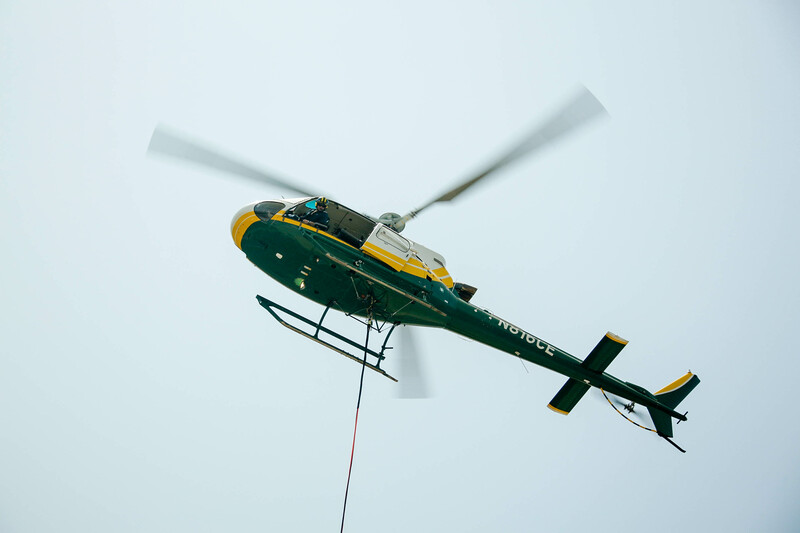 Crew members help attach equipment to the helicopter cable. The helicopter pilot heads to the work area. The helicopter pilots help set the new poles. 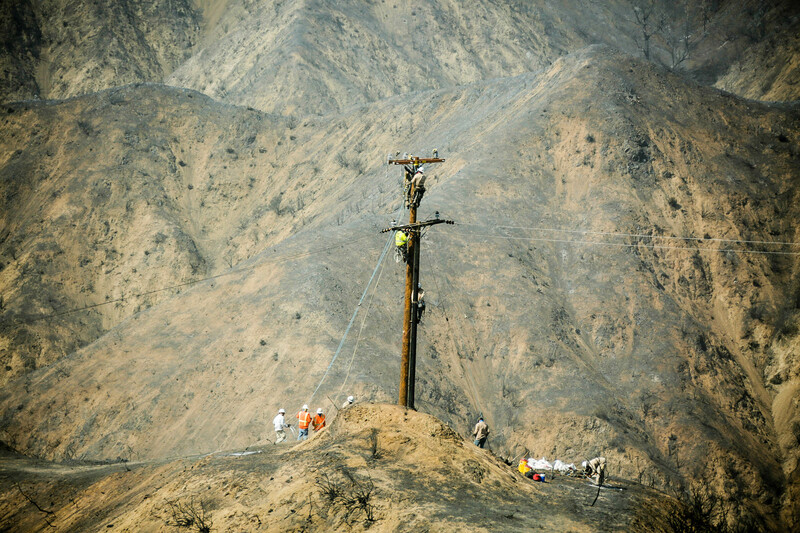 SCE crews complete the work on the new poles.